Beer has been brewed since time immemorial. It is thought that it was first made in Palestine around ten thousand years ago, in 8000 BC, by macerating barley bread in water. The Sumerians developed no fewer than ten varieties of beer, and the Babylonians added at least 34 more. Later on, the Egyptians developed what can be called government breweries, making brewing a state monopoly. These “barley wines” were used as offerings to the gods. Pharaoh Ramses II, who is referred to as the “brewing Pharaoh”, imposed very strict rules on the making of beer. Beer made its way to Europe around 5000 – 4800 BC along two routes: the Danubian route (Eastern Europe) and the Mediterranean route (south of France). Contrary to what is generally believed, beer was brewed and consumed very early in Greece and Rome until it was to some extent replaced by wine. However, while the Romans were more fond of wine, this did not prevent them from appreciating beer, in particular in the northern regions, where conditions were better for barley fields than for vineyards. For example, the remains of a Gallo-Roman villa were found to contain a brewery dating from the 3rd or 4th century. Among Belgium’s ancestors, the Gauls, the brewing of barley beer was a cottage industry; it was brewed within the family by the women. It were the Gauls who came up with the idea of replacing recipients made of pottery by wooden barrels, which, by the way, they invented. They called malt “brace”, a word that has come down to us in the French terms brassin (beer mix), brasseur (brewer), etc. After the fall of the Roman Empire, the church took control of the land. The monks took an interest in this beverage, and eventually it appears that there were breweries in every abbey in Christendom. And brewing also went on in inns, castles and homesteads. In spite of barbaric invasions, brewing never quite disappeared from our regions. As early as the 7th and 8th centuries, the first monastic communities consumed beer, which had by then become a popular beverage. At that time, monks lived just like everyone else, but of course they were isolated from society. In the region of the Meuse, the oldest monastery appears to be the Grand-Axe, which is first mentioned in documents in the year 805. As we have just seen, the first Belgian abbeys already each had their own brewery. This was the case for Villers-la-Ville, which has had a community of monks since 1146. The immense abbey they built was inspired by the architecture of the Cîteaux (the order of the Cistercians). The brewery, in the Romanesque style, was built in the first half of the 13th century. However, the abbey destroyed waste in the religious wars of the 16th century and the French Revolution. Also around this time, the first guilds were set up. The purpose of guilds was to maintain the quality of products and to ensure respect for traditions based on strict rules. Breweries then proliferated in the 14th and 15th centuries, as beer became a popular beverage. Around this time, it was commonly believed that it was better to drink beer than water, because epidemics like cholera and the plague could be transmitted by water, while the cause of these diseases was eliminated in the brewing process. The Renaissance (around the 16th century) was the golden age of brewing. Their corporations were very rich. In Brussels, brewers bought the “Arbre d’or”, a fine building that is now the “Maison des Brasseurs” (House of Brewers) on the Grand’Place. They restored this dwelling and embellished it in the 17th century. Although it was completely destroyed in the bombarding of Brussels by the Marshal de Villeroy, it was quickly rebuilt, at great expense, in the 18th century, when it was adorned with the facade that is still admired to this day by countless tourists. It was sold off by the French revolutionaries in the 18th century, and then in 1954 after some radical conversion work it once again became the “Maison des Brasseurs”. 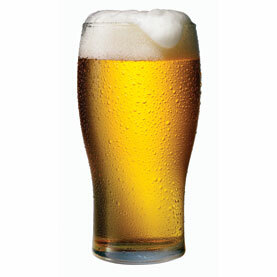 In the 17th century, many different types of beer began to appear up and down the country. Each variety was characterized by the specific ingredients used and the quality of the water. Small breweries flourished at this time, and as in those days there were no sophisticated means of preserving the product, each village had its own brewery. At the end of the 18th century, a historical event took place that was anything but beneficial to the tradition of brewing: the French Revolution. In addition to the fact that it put an end to brewers’ guilds, the Revolution led to the destruction of many monasteries and abbeys, effectively wiping out much of the brewing industry. However, with the arrival of Napoleon on the scene brewing took off again thanks to a general economic recovery, although from that time on brewing would no longer be reserved for monks. It became a fully-fledged industry in its own right. At the end of the 19th century, the scientific progress achieved by Louis Pasteur (1822-1895) in the study of yeast and the preservation of food by “pasteurization” gave breweries new impetus for some time. And these discoveries not only made it possible to preserve beer more efficiently, but they also improved the quality of beer, as the various types of yeast produce different flavors. By the year 1900, there were 3,223 registered breweries in Belgium, including Wielemans’ Brewery in Forest (Brussels), which was considered to be the biggest and most modern in Europe. It was also in Brussels (in the brewery called the Grande Brasserie de Koekelberg, to be precise) that the first bottom-fermenting beer (Pils) was brewed in 1886. After the First World War, there was a considerable drop in the number of breweries. In fact, by 1920 there were only 2,013. The reason was that there was a dearth of the raw materials and manpower needed for brewing, and the few breweries that resumed production had to be mechanised. In the 1930s, the economic crisis made the situation even worse, and the Second World War caused a further reduction in the number of breweries. As a result, in 1946 Belgium had only 755. After the Second World War, the number of breweries continued to fall. The small breweries had in fact disappeared or had been taken over by larger concerns, so much so that by 1983 there were only 134 breweries left. Nowadays, the brewing industry is characterized by two main trends: firstly, at a global level, major mergers between large groups of breweries and, secondly, at a regional level, the revival of small and medium-sized breweries developing a variety of products whose characteristics are linked to the terror. There are now around a hundred breweries in Belgium that offer a range that includes around 500 different products.